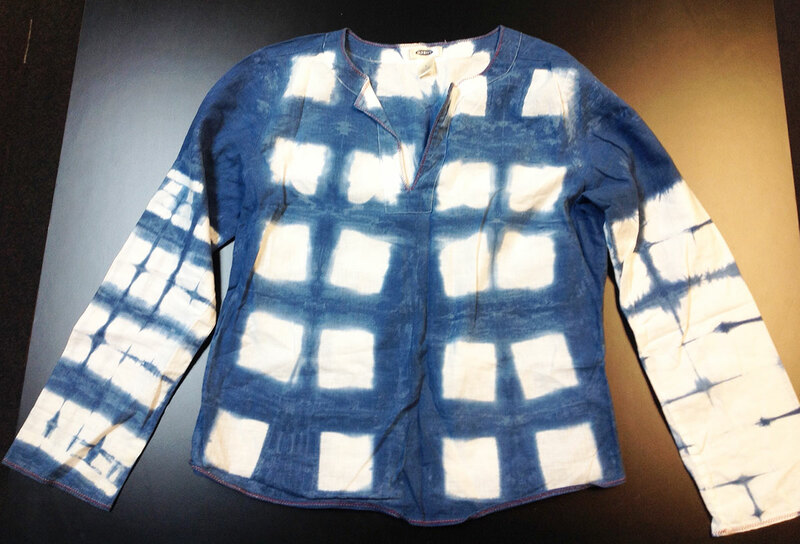 Shibori is a Japanese textile dyeing technique dating from the 8th century, similar to tie dyeing. Learn the pleating and binding technique, as well as the pebble technique, using pre-reduced synthetic indigo blue Jacquard dye. Bring white, natural fiber (all-cotton is best) articles of clothing, pillow cases, etc to dye. Bring: White, natural fiber (all-cotton is best) articles of clothing, pillow cases, etc. and transform them. All other materials provided; we will mix the dye ourselves. Contact [email protected] with questions.